Barcelona are reportedly still eager to secure the signing of Adrien Rabiot from Paris Saint-Germain before the transfer deadline on August 31. The 23-year-old will see his current contract with PSG expire next summer, and so if Barcelona were potentially patient, they could land him on a free transfer at the end of the season. However, it appears as though the door hasn’t been closed on a deal being done before the August 31 transfer deadline in Spain, as they are again linked with a swoop for the French international. According to Mundo Deportivo, Barcelona are willing to spend up to €50m to prise Rabiot away from the French capital, although they will look to get a better deal, as per the report. Although it remains uncertain as whether or not Rabiot will move to the Nou Camp, what is certain is that he looks like an ideal fit for the Catalan giants in terms of his technical quality and creativity on the ball. That should suit the Barcelona style of play perfectly, and so with that in mind, it’s easy to see why Barca would want to sign the PSG ace. 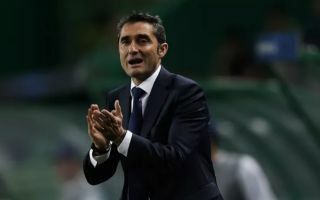 Despite having already signed Arthur and Arturo Vidal this summer to help fill the voids left behind by Andres Iniesta and Paulinho, it would appear as though Barcelona aren’t entirely content with the midfield options at Ernesto Valverde’s disposal. In turn, Rabiot could emerge as the solution this summer, although it’s questionable as to whether it’s good management to splash out a sizeable fee instead of looking to sign him on a free next year. Nevertheless, with Barcelona having big ambitions this season to win major trophies, coupled with the fact that not wrapping up a deal as quickly as possible will give a chance to their rivals to get ahead of them in the queue, it seems sensible for the La Liga champions to reach an agreement at the earliest possible opportunity.